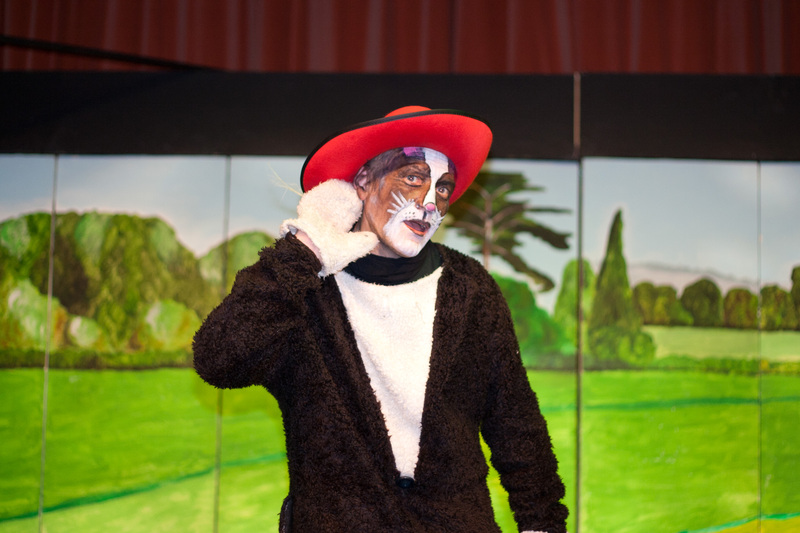 A family pantomime following the tale of an enterprising cat as he attempts to make his fortune – and that of his master Jack – after they have to leave the family mill. His encounters include some interesting rabbits and the King and Queen of the Land on the lookout for a suitable bride for their son, Prince Rupert. Do they succeed? Does the bad guy stop them?